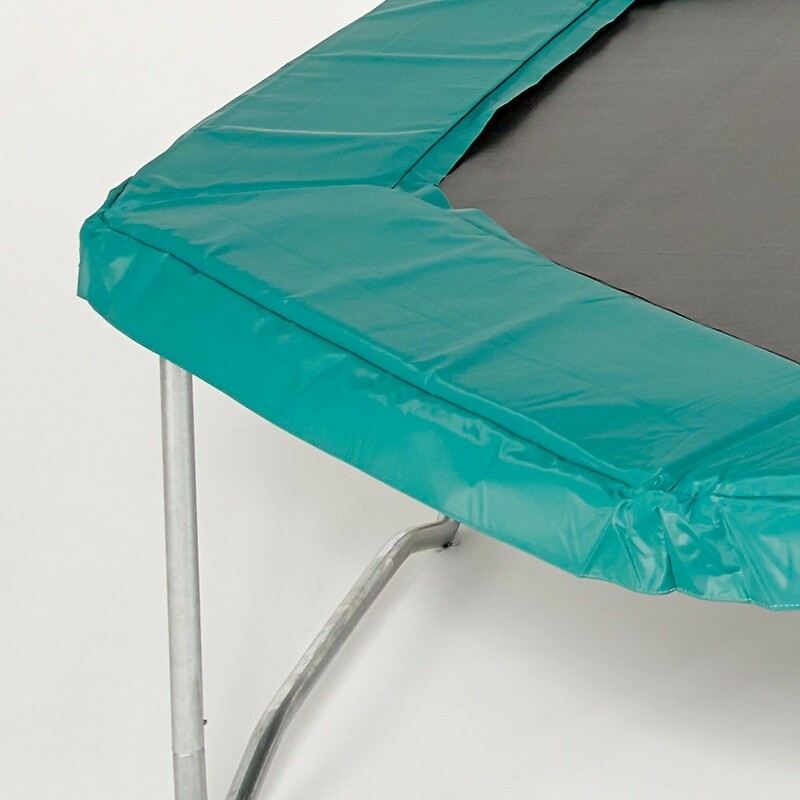 Replace your worn-out trampoline with this new, 4.60 m octagonal model without safety enclosure. 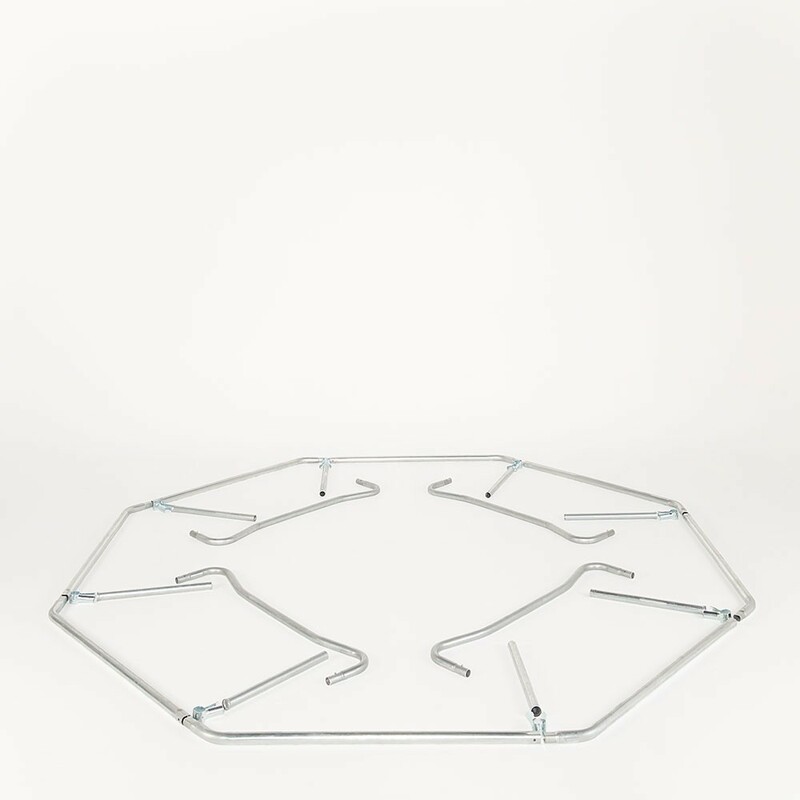 If you own an octagonal trampoline with worn-out parts that need replacing, consider the Waouuh 460 octagonal trampoline. 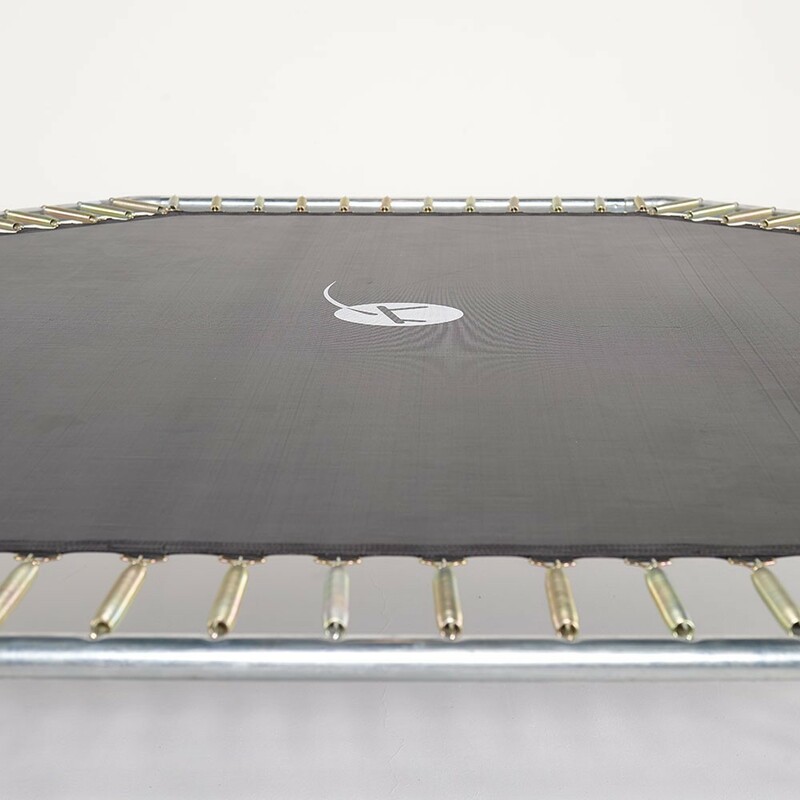 The trampoline's 4.57-m by 4.27-m diameter represents an impressive jumping area. 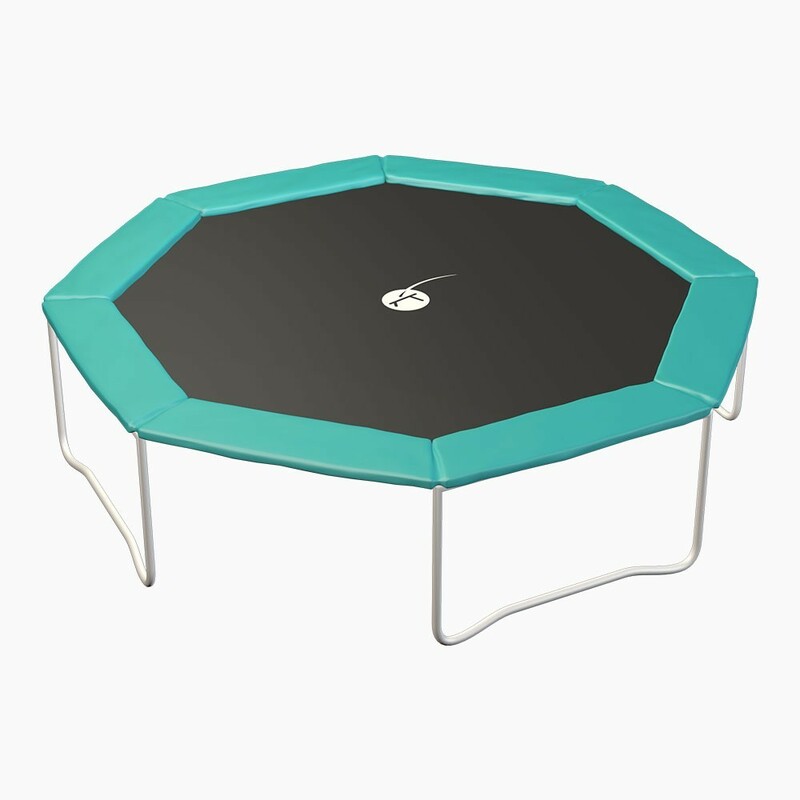 - The outdoor octagonal trampoline's large, thick frame is made of hot-dipped galvanized steel. 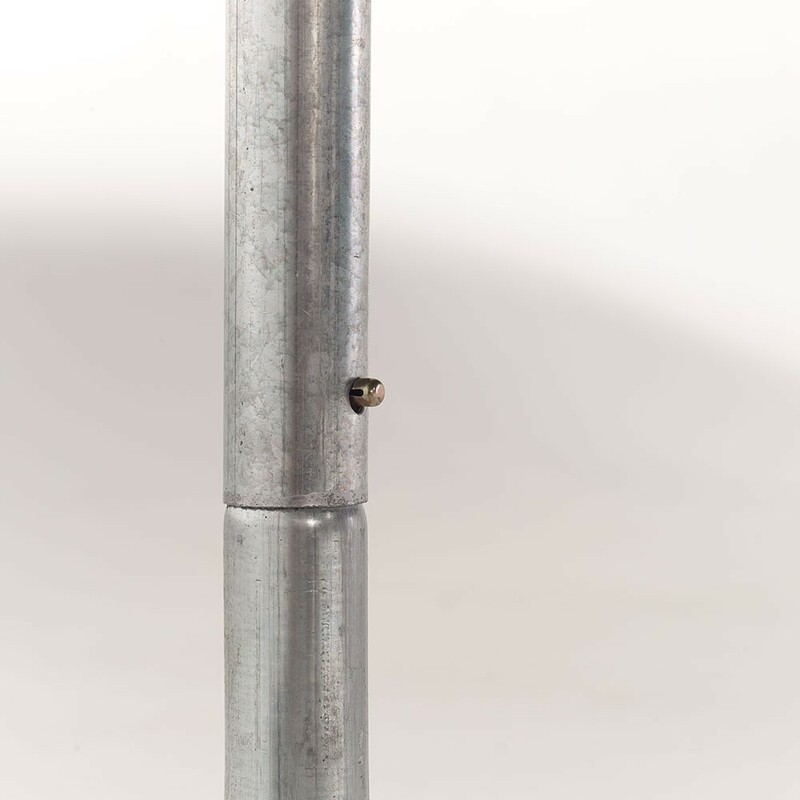 The structure is assembled using T-shaped joining parts, and all parts are corrosion-resistant. 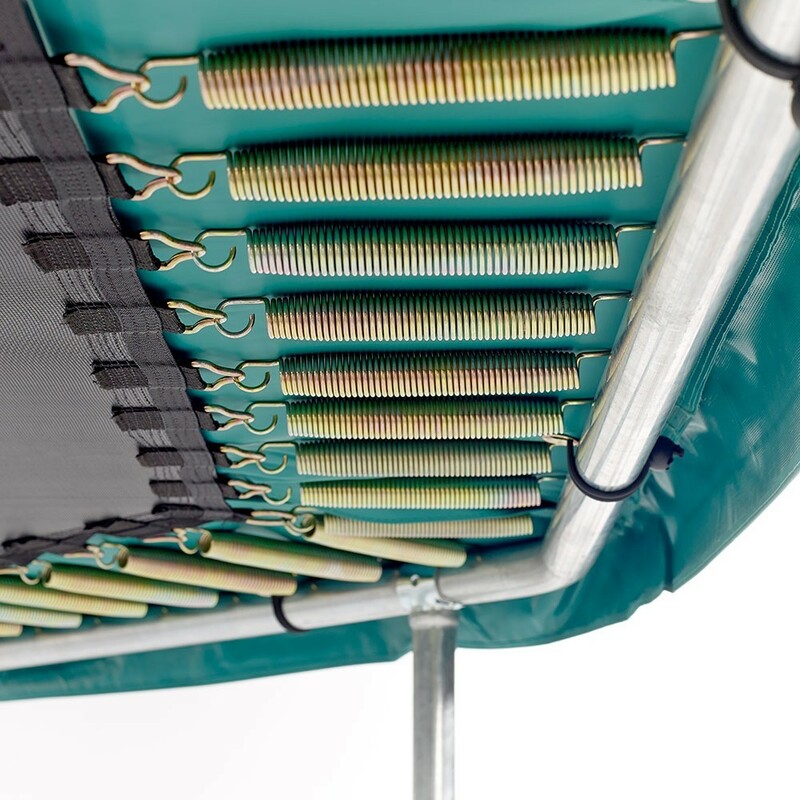 - The powerful jumps that this outdoor trampoline generates are made possible because of its 112, 230-mm springs, allowing teens and adults to jump to their hearts' content while protecting the trampoline's high-end materials. 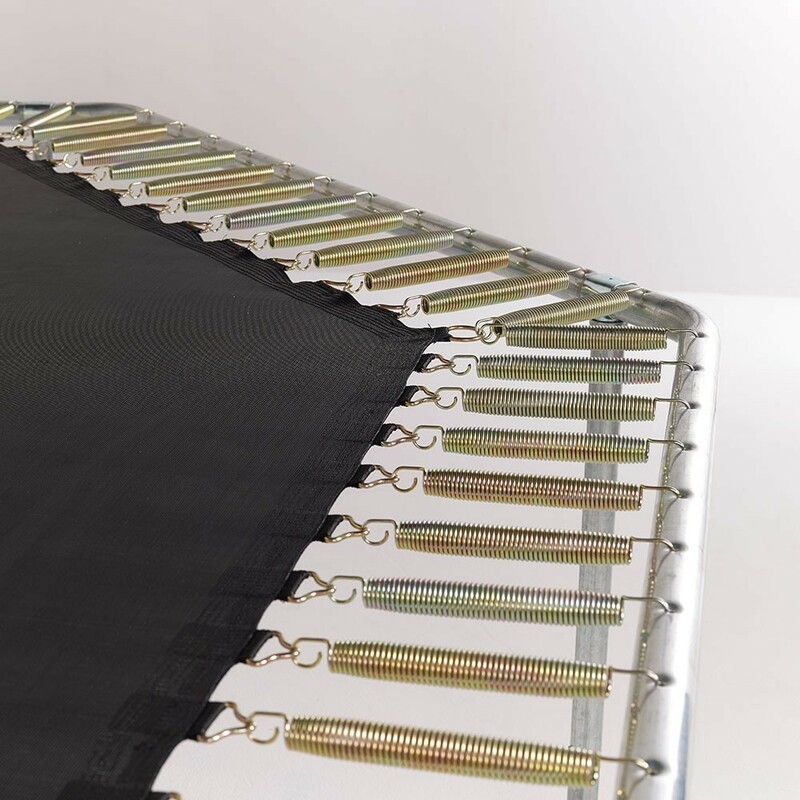 - The trampoline's jumping mat is reinforced with 8 rows of stitches, and its UV-resistance guarantees maximal durability. 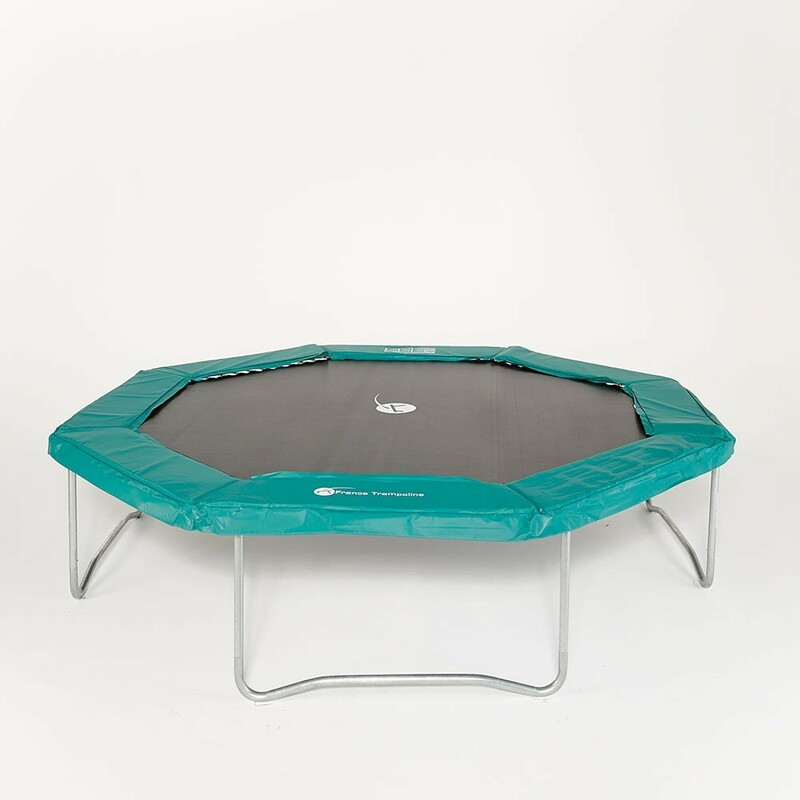 - France Trampoline has equipped this Waouuh 460 octagonal trampoline with a superior quality safety pad. 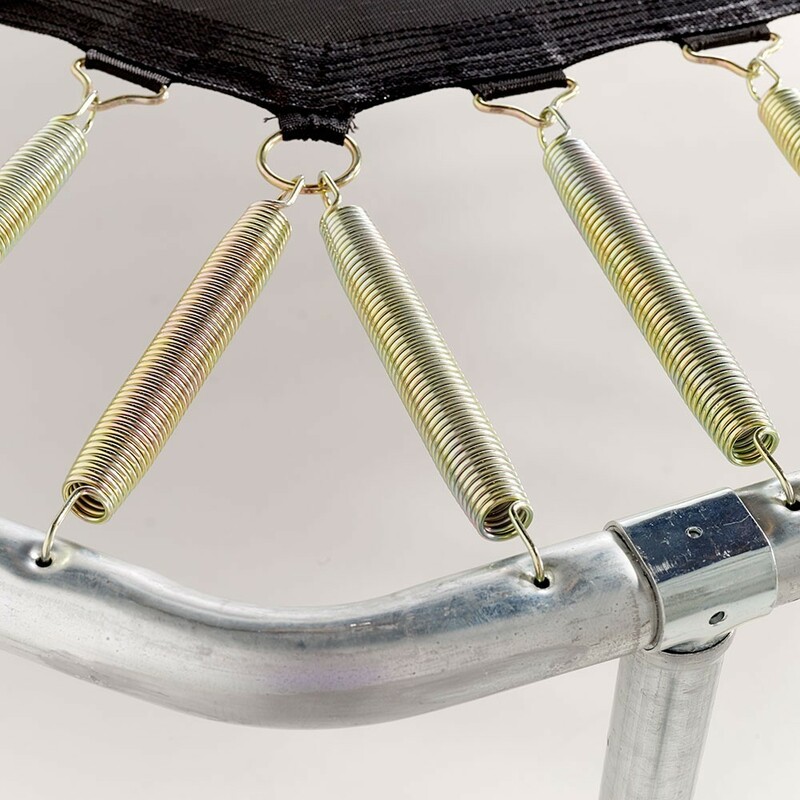 Thick, compact foam secures the spring area and guarantees a cushioned landing in case the jumper lands outside the jumping area. 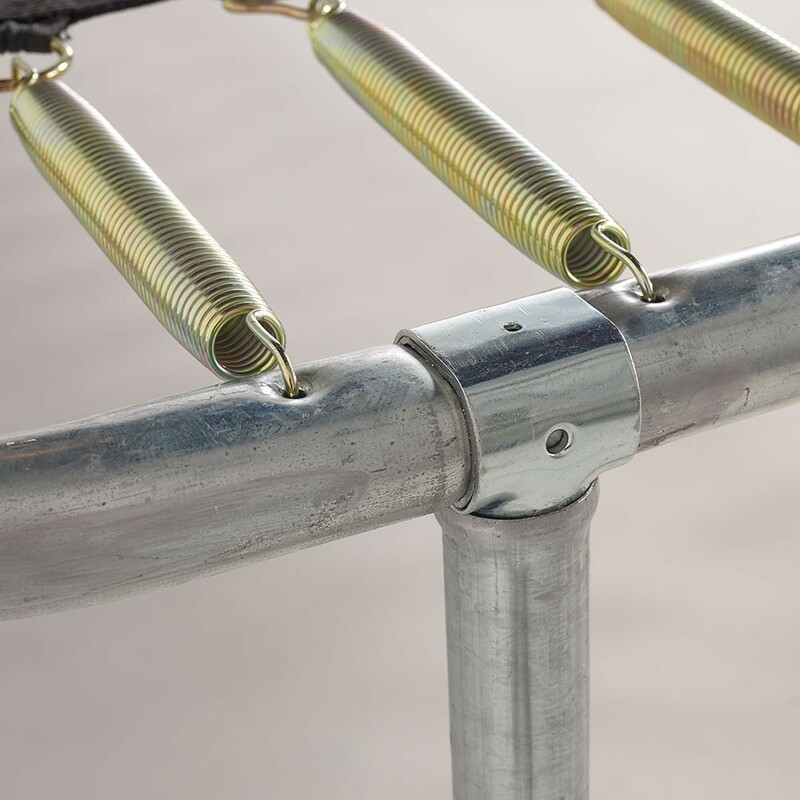 NB: The vertical legs of our trampolines haven't any drilled openings allowing you to screw the net posts on to these legs. For any compatibility questions, please contact our customer service team. la qualité de fabrication apporte une grande stabilité à la structure , le tapis de saut est très grand avec des ressorts bien actifs. Très bonne qualité, facile à installer, seul ! Aussi bien pour les enfants que pour les adultes. Bon diamètre qui laisse la possibilité d'en faire à plusieurs sans trop de risques. Facile à monter et peu bruyant.